This group Veiled certainly veils any easy description of its music. There are moments when surf rock seems to fit it, but then a track like “Killing Fields” comes along with its Middle Eastern feel and totally blows up that whole theory. But no matter what label you slap on contents within Within, it’s impossible to get away from the fact that Veiled is a guitar rock band. And a good one, at that. Not only is this act guitar-centric, but it is also a dead serious one as well. From the outset, opener “Killing Fields” mourns our sad old world with these words: “Greed overcomes/And steals our lives.” Hopelessness also prevails in the seemingly optimistically titled “Only Love Remains”, where vocalist Charlie Kim suggests: “Time can’t heal the wounds/It’s just another pill/To cover up the hole.” Dang! So much for that familiar cliché! Now what are we going to tell our suffering loved ones? Just give up? Near the end of the disc, one titled “Paralyzed” warns: “Heavy clouds drearing overhead.” I’m not even sure if “drearing” is a real word, but I know exactly what it means. It, like the rest of this music, paints a picture of a life filled with endlessly rainy days. And after all is said and done, one is left drenched to the bone in Veiled’s musical tears. 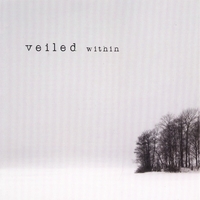 To check out more about a Veiled affair, please visit www.VeiledMusic.com.